HTC isn't the only one showing off new devices today. 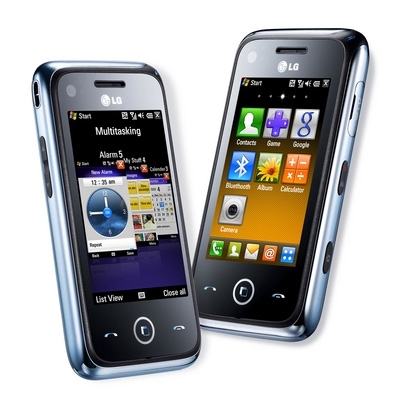 LG has its own pair, too. 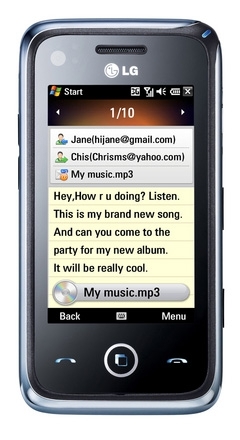 The Eigen (GM730), pictured above, runs Windows Mobile 6.1.4 Professional and packs an MSM7201a 528MHz processor, 128MB RAM, and 256MB ROM. 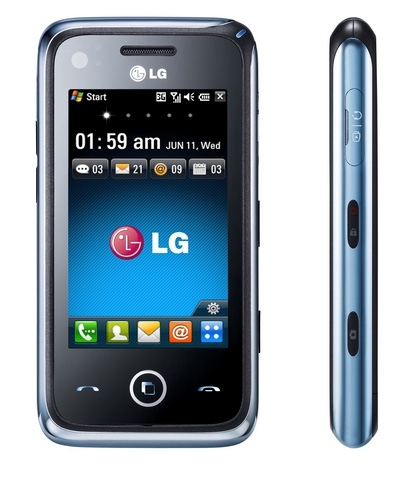 There's also quad-band GPRS/EDGE and UMTS connectivity, Bluetooth, Wi-Fi, GPS, a G-sensor, an FM radio, a 5.0-megapixel camera, a microSDHC slot, and a 240 x 400 (WQVGA) touch screen to seal the deal. It's definitely not as impressive the Touch Diamond2 or Touch Pro2, but it's not too shabby, either. Jump the break for more shots of the Eigen (GM730), as well as a look at the HQ. 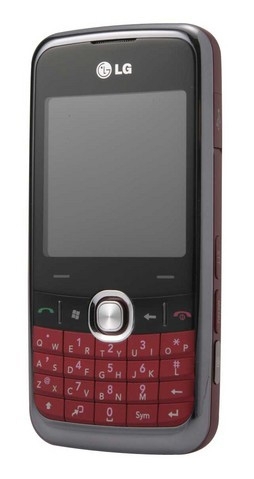 Unlike the Eigen (GM730), the HQ, pictured below, is a Windows Mobile 6.1 Standard device. But specs-wise, it's not that dissimilar to the Eigen (GM730): same processor, same amount of RAM and ROM, and the same cellular and wireless radios. The camera, however, is only rated at 2.0-megapixels, while the display only packs 240 x 320 worth of pixels. Still, all in all, the HQ is not a bad offering.